Crown I Linerlock - 4 1/4" closed. 3 1/8" satin finish 8Cr13MoV stainless blade with dual thumb studs. 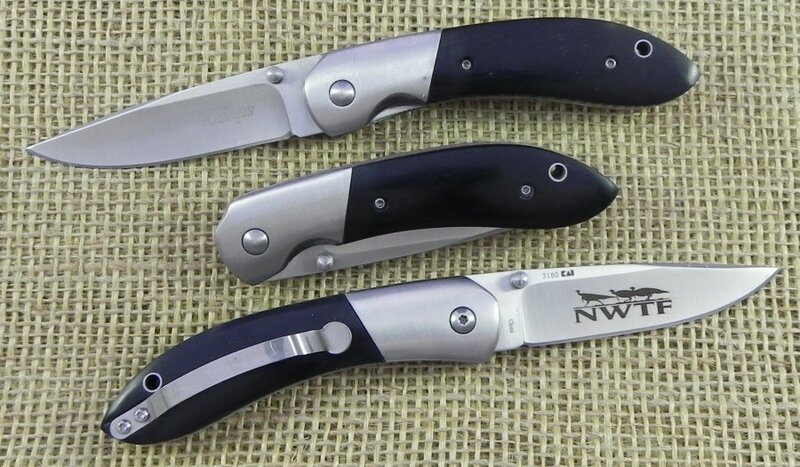 Blade features "NWTF" logo. Black polished micarta handles with satin finish stainless bolster. Lanyard hole. Stainless pocket clip. Hang packaging is open due to etching of blade.